Ten years in the making the epic new novel from the acclaimed, prize-winning, bestselling author of THE BOOK THIEF Here is a story told inside out and back to front: The five Dunbar brothers are living with their menagerie of animals in the perfect chaos of a house without grownups. Today, the father who walked out on them long ago is about to walk right back in. And so the life of Clay, the quiet one with a harrowing secret, is about to change forever. 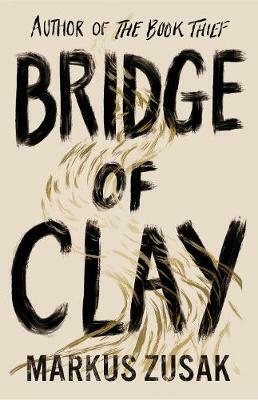 From a grandfather, whose passion for the ancient Greeks still lights up their lives, to a mother and father who fell in love over a mislaid piano, to the present day, where five sons co-exist in a house with no rules, BRIDGE OF CLAY is a sweeping portrait of how a ramshackle family, held together by stories and by love, come to unbury one boy's tragic secret. This tale of a young life caught in a current - a life in search of greatness and the cure for a painful past - is as intense, inspiring and ambitious as only Markus Zusak can be.